- has a retarding effect on algae growth. • Complex mixture of organic and synthetic chelators to protect trace elements from oxidation, binds heavy metals such as copper, zinc, lead and others. Sugar, lignin and saponin, accelerates wound healing, has anti-inflammatory effects. • Probiotic bacteria, promote physiological processes, improve water quality, promote the health of animals, especially young. • Remineralizing bacteria promotes a microbiological balance. Recommendation: One of the most common problems in aquaristics is the combination of products that are not coordinated. These include, in particular, chemical chelators, copper or metallic trace elements or various additives which can lead to unforeseen interactions with the components of SaltyBee gH / kh + Premium. SaltyBee gH / kH + Premium is designed to be released by periodic weekly water changes of approximately 10-20%, and to bring the components back to the proper levels used by plants, bacteria, animals, or by electrochemical, biochemical and physical Conversion in their properties are modified and no longer available. The concentration would steadily decrease with smaller water change quantities and increase too much with larger water change quantities. For new equipment, we recommend a warm-up time of about 2 to 3 weeks. A combination with third-party products, especially other bacteria-containing products or fertilizers is not necessary, unless this combination is explicitly recommended. • For smaller regular water changes without additional application, the desired concentration can NOT be ensured. • For larger regular water changes, the desired concentration is exceeded. • If there is no change of water over a longer period of time, then the recommended amount of water change does not have to be increased. Important note: It is not recommended to mix SaltyBee products with other third party salts. 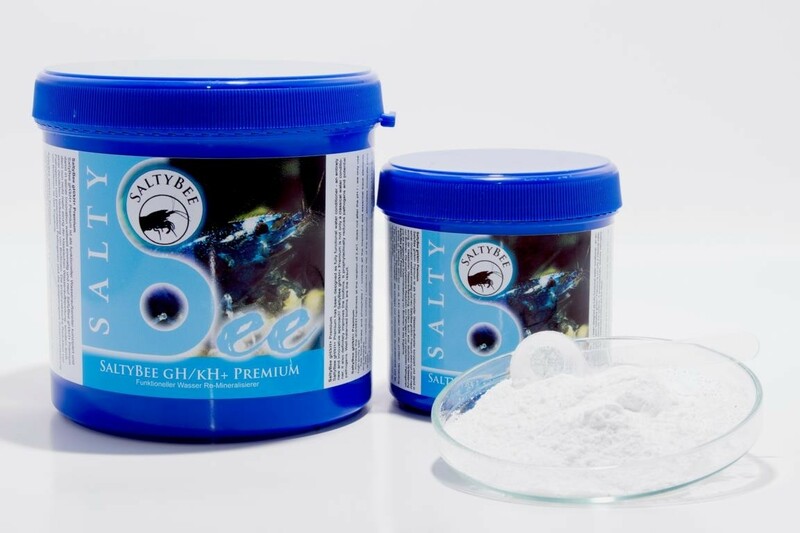 An impairment of the micronutrients contained in SaltyBee salts can not be excluded.